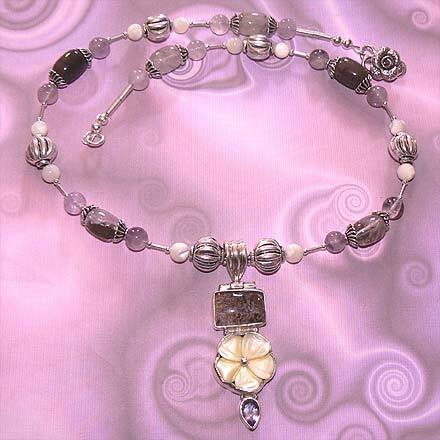 Sterling Silver Lodolite Quartz, Mother of Pearl and Amethyst Necklace. See Closeup. 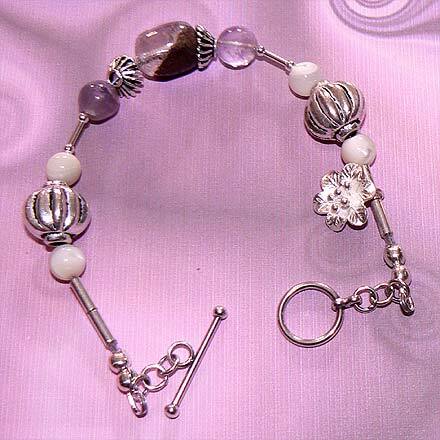 Sterling Silver Lodolite Quartz, Mother of Pearl and Amethyst Bracelet. Inside the Lodolite Quartz rectangular cabachon and oblong beads are secret worlds of Chlorite inclusions. It reminds me of tidepools of sand a mysterious little wonders. 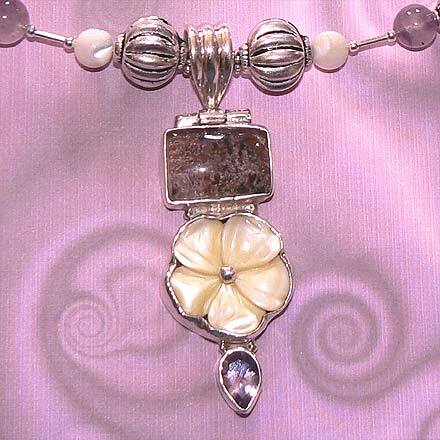 Add to that a beautiful Mother of Pearl carved flower, and you've got yourself an amazing necklace. For those who are interested in Astrological significances of stones, Quartz corresponds with Taurus and Gemini, Pearl is associated with Gemini and Cancer and the month of June, and Amethyst corresponds with Pisces and the month of February.